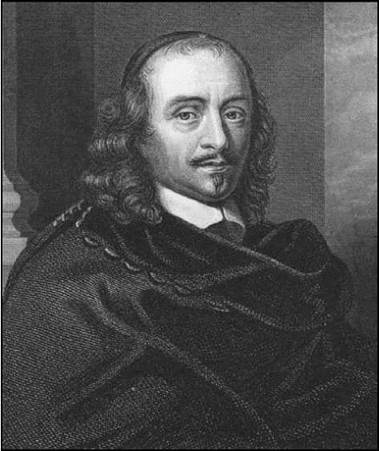 Pierre Corneille. Corneille, Pierre, illustration. Picture Collection, The Branch Libraries, The New York Public Library. Pierre Corneille was the first great tragic dramatist of France. Although many of his thirty-four plays are comedies or works of mixed type, he is particularly known for creating the genre of French classical tragedy with his innovative and controversial masterpiece, Le Cid. His work dominated the French stage during the first half of the seventeenth century. Jesuit Education to Legal Career. Corneille was born June 6, 1606, in Rouen, Normandy, France, into a middle-class family. His father worked as an administrator of natural resources for the viscount of Rouen. His education at a Jesuit school, with its emphasis on the Latin classics and on the importance of the role of free will in man’s search for a moral life, profoundly affected his later works. Receiving his law degree in 1624, Corneille acquired two positions in government—one in the administration of natural resources and the other with the maritime court of Rouen, which was a major port and at that time the second biggest city in France and often visited by traveling theater companies. In 1641, he married Marie Lamperiere, and the couple would have six children. Throughout his life, Corneille preferred an uncomplicated, suburban family life to the verbal sparring of Paris literary salons. At the time, France was ruled by king Louis XIII, who was guided in his decisions first by his powerful mother, Marie de Medicis and later by his minister, Cardinal Richelieu. Richelieu worked to enhance the crown’s absolute rule at home. As a Catholic, Corneille was more free than his Protestant counterparts, who lost political power through censorship. Successful Early Plays. In this environment, success came fairly early to Corneille as an author of comedies of young love, with plots based largely on misunderstandings and misinformation spread about by jealous rivals. In 1629, he offered his first play, the comedy Melite; ou, Les fausses lettres (Melite; or, The False Letters), to well-known actor Montdory and his theatrical company while they were performing in Rouen. The play was a great success when staged in Paris, launching Corneille’s theatrical career. Over the next several years, Corneille wrote five comedies—including The Palace Corridor; or, The Rival Friend (1631) and Place Royale; or, The Extravagant Lover (1633-1634)—and the tragedy Medea (16341635). During this period, he attracted the attention of the powerful and influential Richelieu, who enlisted him as a member of the ‘‘Society of Five Authors,’’ a group of acclaimed writers who composed plays under Richelieu’s direction. Although Corneille contributed the third act to the joint effort The Comedy of the Tuileries (1635), he reportedly became involved in disputes with the cardinal and soon resigned from the group. Controversy over Le Cid. Le Cid (1636-1637) was a great popular success and a sensation at the royal court but gave rise to a heated controversy known as ‘‘La Querelle du Cid.’’ The play is based in part on a historical Spanish character—the national hero and military leader who was known for defeating enemies despite overwhelming odds, Rodrigo de Bivar (1040?-1099)—and tells the story of the young lovers Rodrigue and Chimene, whose apparently perfect match is disrupted by their fathers' political rivalry. Le Cid is often called the first great French classical tragedy, and its dramatic power resides in Corneille's skillful manipulation of the conflict of honor and love. The play's numerous violations of the neoclassical ‘‘rules'' of tragic design prompted published attacks by Corneille's rivals as well as defenses by Corneille and his supporters. The matter was eventually submitted by Richelieu to the newly formed French Academy, responsible for overseeing French language and literature to ensure absolute control by the crown, which issued a negative judgment of the play. Wounded and discouraged, Corneille ceased writing plays for the next three years. Success Again with Cinna. Corneille’s three-year silence ended in May 1640 with the presentation of his second tragedy, Horace, quickly followed by two more tragedies, Cinna; or, The Mercy of Augustus (1641), and (Polyeucte) (1642). Horace continues the theme first broached in Le Cid. Cinna, a political tragedy, and Polyeucte, a religious tragedy, were both based on Roman sources and definitively established Corneille’s literary reputation. Cinna has often been argued to be Corneille’s finest play after Le Cid, principally because of its strict faithfulness to classical form and the depiction of the slow evolution of Augustus’s character from apparent tyrant to magnanimous hero. In contrast with Cinna, Polyeucte incorporates a relatively complex plot with equally complex relationships between pagan and Christian characters of third-century Rome. By this time, there had been a change in leadership in France as both Louis XIII and Richelieu had died in the early 1640s. Child king Louis XIV took power, and his mother, Anne of Austria, acted as regent, guided by Cardinal Mazarin, until 1661, when her son began actively reigning. Rejected by Playgoing Public. In 1647, Corneille moved with his family to Paris and was elected to the French Academy. He continued to write, but soon the public turned against him. Corneille was sufficiently crushed by the chilly reception that he ceased writing for the stage for seven years. As the public turned to younger playwrights such as Moliere and Jean Racine, Corneille was not only rejected, but forgotten. As France emerged as the leading power in Europe, he made a last attempt in 1674 with Surena, a tragedy in which mutual love undermines the hero’s political position and leads to his death. After the failure of this play, Corneille accepted that his career as a playwright was over. He died in obscurity on October 1, 1684, at age seventy-eight at his home in Paris. Cardinal Richelieu (1585-1642): French religious leader, politician, and patron of the arts who strengthened the power of the king and established the French Academy. Louis XIV (1638-1715): King of France, known as the Sun King for his belief that the royal court and all of France should revolve around him like the planets revolve around the sun. Moliere (1622-1673): French dramatist who revolutionized French comedy; well known for his satires, including The Bourgeois Gentleman (1670). Jean Racine (1639-1699): French playwright and rival of Corneille's; well known for his graceful use of the standard French poetic form, the alexandrine, a specific type of twelve-syllable line. Rembrandt van Rijn (1606-1669): Dutch artist, widely regarded as one of the best painters and printmakers in European history; well known for his use of chiaroscuro, or dramatic use of light and dark. Though the controversy surrounding Le Cid created great stress for Corneille, it resulted in the establishment of a clearer sense of the definition of tragedy and comedy. The debate set the stage for the creation of the mature masterworks of Corneille himself as well as those of Jean Racine and Moliere later in the century. Corneille’s Tragedies. Most plays in the seventeenth century followed the theatrical ‘‘unities’’ of Aristotle; that is, the story must be coherent and believable, and the action should take place within one day and one city. According to Corneille, great tragedies are those that produce intense emotion in the audience through response to corresponding displays of passion and conflict on the stage. The subjects of such tragedies must always be implausible, yet, the playwright needs to persuade the audience to believe in this implausible subject. Some major character of each tragedy should, in this view, engage in a significant and implausible transgression of ethical norms, particularly those concerning family, friendship, or love. With this view Corneille produces the theoretical foundation for Le Cid. In discussing the one action that was allowed in each tragic plot, Corneille had the new idea of simply counting how many times the hero risked death, and he thus renamed the unity of action the ‘‘unity of peril.’’ Once the hero had survived (or failed to survive) one mortal danger, the play should be finished. By this standard, Corneille’s Horace fails to observe the rule, and the rule in turn is tied to the audience’s emotional investment in seeing the hero risk death and escape. With regard to the one day’s time that Aristotle had allotted to tragedy, Corneille, following a contemporary trend, felt that the perfect tragedy should have a story that took as much time to happen as to present on stage. Therefore, if a stage performance, including intermissions, takes roughly two hours, then the play should ideally represent two hours in the lives of the characters. As a practical matter, Corneille recommends being as vague as possible about time passing and allowing the audience to imagine time to suit themselves. He does say, however, that there should be a slight distortion of time in the last couple of acts of the play, since the audience will be caught up in the suspense, and the actions on the stage should be accelerated. Corneille recommends similar vagueness about the single place, usually a room in a palace, where the action of the tragedy takes place. Corneille’s work is noted for its great diversity, brilliant versification, and complexity of plot and situation. Although the decline in his reputation, which began in his own lifetime, continued throughout the eighteenth century, the nineteenth century saw a reappraisal of his place in literary history. Today, he is situated in the front rank of French dramatists. Corneille’s great tragic personages, the grandeur of his style, and his relentless focus on the conflict between passion and moral obligation to society have also established his place in world literature. His reputation among the larger public continues to rest on the four great tragedies written between 1636 and 1642, but modern scholarship suggests that both his early comedies and late tragedies, taken in context and viewed as a whole, reveal a continuous movement toward experimentation, on both poetic and thematic levels. Such works as the early The Comic Illusion (1635) and the late Surena testify to the dramatist’s persistent attempts to dazzle his public with innovative responses to old dilemmas. Often going against the grain of established literary conventions of the times, Corneille’s genius for invention led him to both great success and total failure with critics, scholars, and audiences alike. Despite its popular success, the play angered many of the conservative critics of the day. The ensuing stormy ‘‘Quarrel of the Ancients and Moderns’’ over literary form lasted for nearly a year, and it was officially resolved at the request of Richelieu by the forty doctes (learned men) of the newly formed French Academy. The largely negative judgment of the academy dealt Corneille a severe blow. Although the academy quibbled with some of Corneille’s versification and with his laxity in strictly maintaining the classical unities of time, place, and action, the central issue involved a rather academic determination of what was tragic, thus establishing those elements that could be properly included in a tragedy and those that could not. The classicists, or ancients, of the Academy supported the Aristotelian distinction between le vrai (the real) and le vraisemblance (the simple appearance of the real, or the verisimilar). History, the doctes maintained, is full of true events that conflict with common moral decency and thus are not the proper basis of art. Thus from the docte perspective, Chimene’s marriage to her father’s killer, though based in fact, was morally reprehensible and consequently an improper use of the real. 1. How are Corneille’s themes of honor, duty, and revenge applicable in today’s society? Find examples from his works and present your ideas in small groups. 2. Corneille twice stopped writing for several years because of bad reviews, yet now he is considered the founder of French classical tragedy. In groups, discuss how criticism affects an artist. Does criticism motivate people or does it discourage their creativity? 3. Read one of Racine’s plays. Then compare Racine with Corneille. Which of the two playwrights do you think is better? Support your response with examples from specific works. 4. Read Horace and create a list of your ten favorite quotes. Share your list with the class and tell why you find the quotes memorable. 5. Every period has certain rules to follow for various kinds of art. Using the Internet and your library’s resources, research the painter Paul Cezanne. Write an essay analyzing what rules he broke in his art and how his works were viewed, both during his lifetime and today. Knight, R. C. Corneille’s Tragedies: The Role of the Unexpected. New York: Barnes & Noble, 1991. Rubidge, Bradley. ‘‘Catharsis through Admiration: Corneille, Le Moyne, and the Social Uses of Emotion.’’ Modern Philology 95 (1998): 316-33.